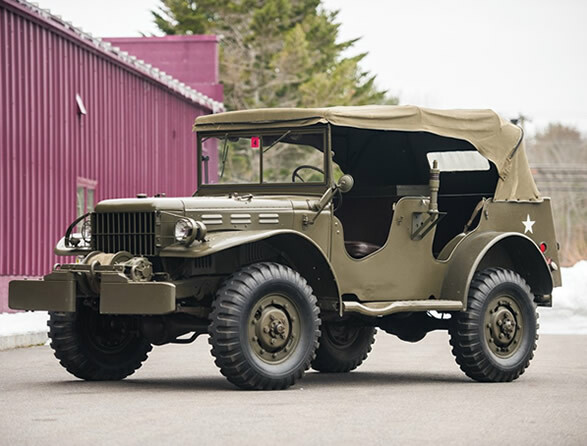 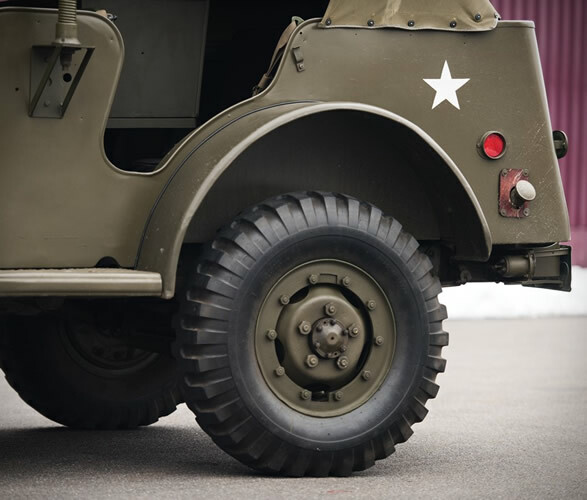 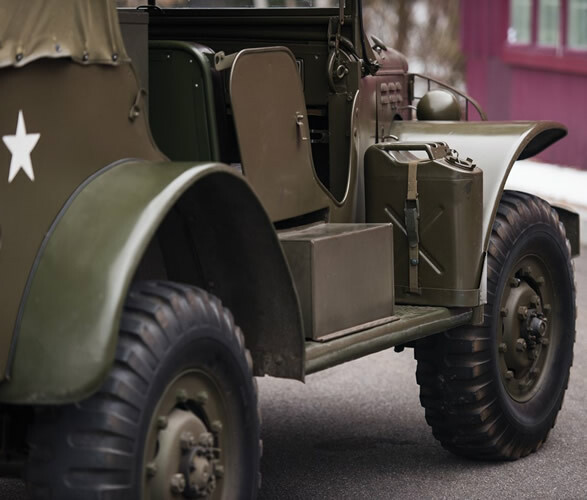 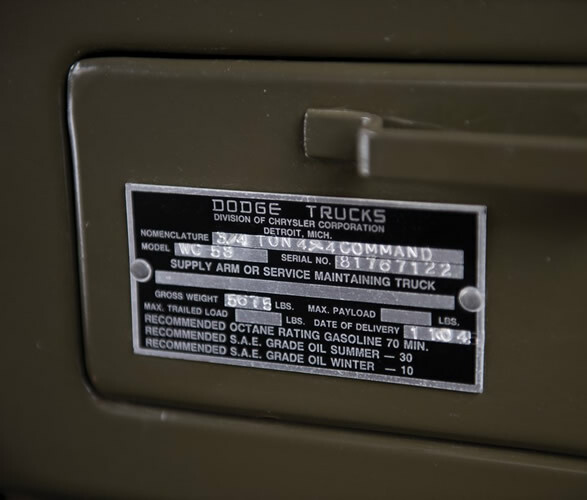 Here is your chance to bring a little piece of history into your garage, this beautiful and unique ride is immaculate, and was designed and built by Dodge for the U.S. military. 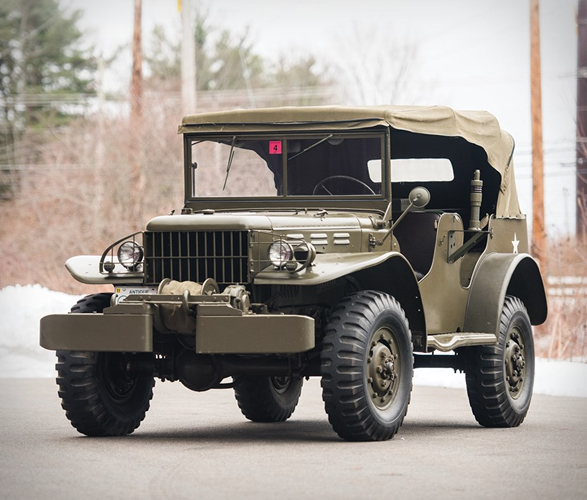 This eye-catching 1945 Dodge WC-58 Radio Car still boasts its original motor, pushing 92 horsepower and 180 foot-pounds of torque, and is outfitted with several details that set it apart. 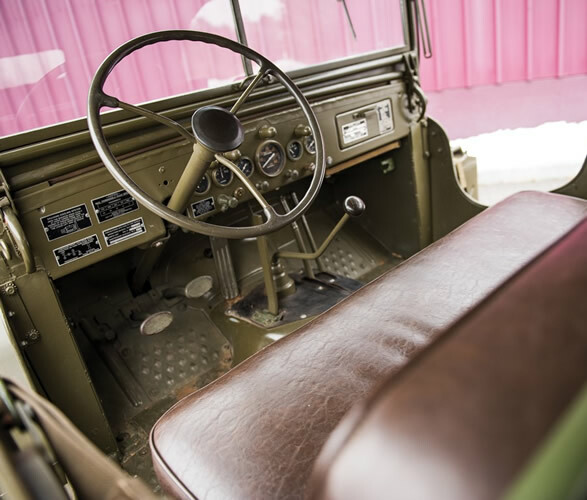 It is equipped with a Signal Corps Radio set in front of the rear seat, and is still wearing its military livery with a tan fabric top. 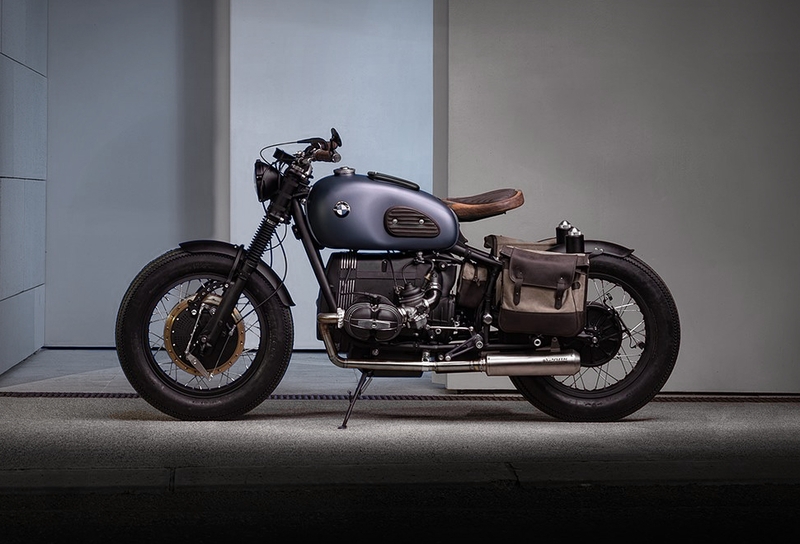 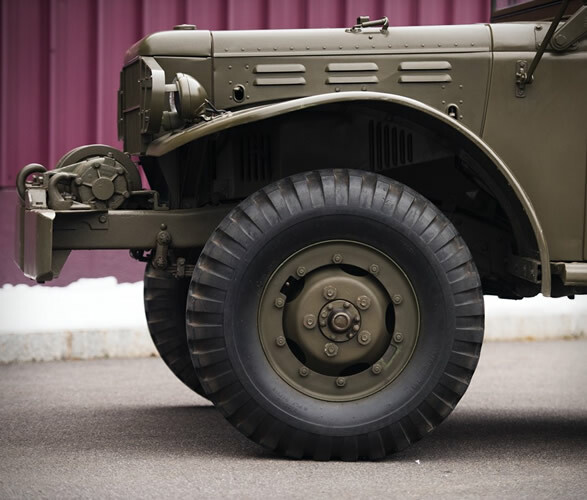 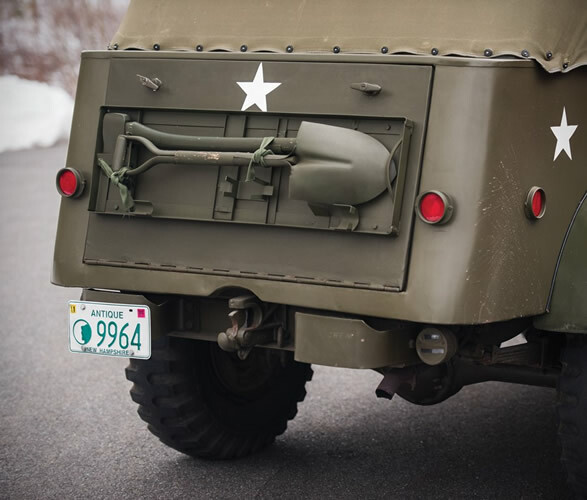 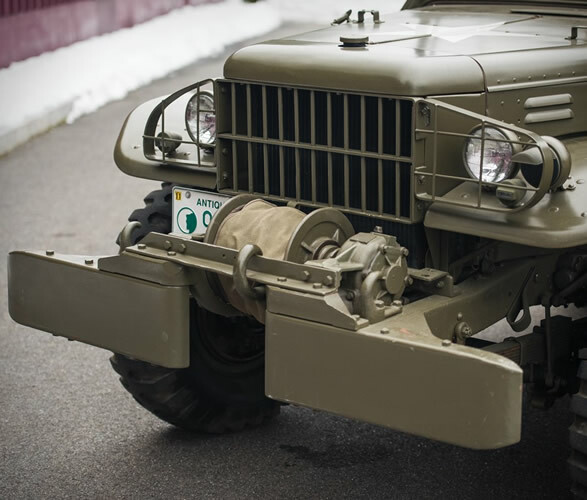 It also features a heavy-duty winch on the front end, leather bench seating, a side-mounted jerry can, tools strapped to the back, and chunky tires are mounted on matching green wheels. 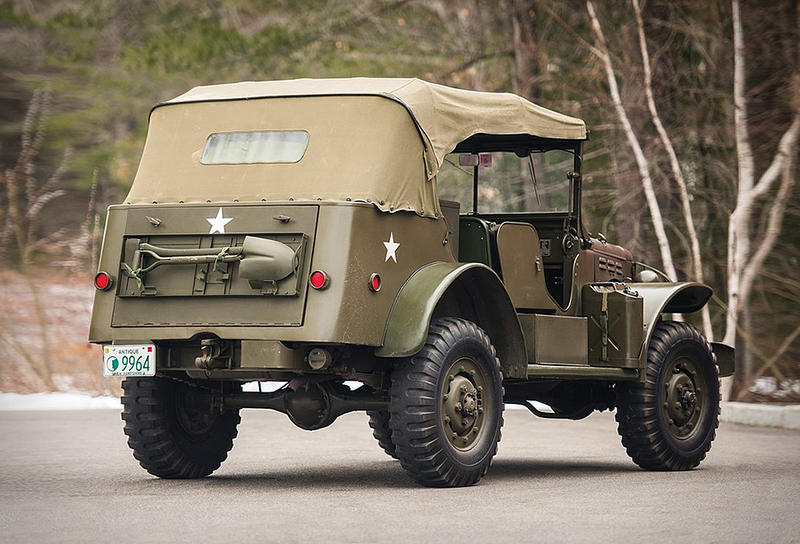 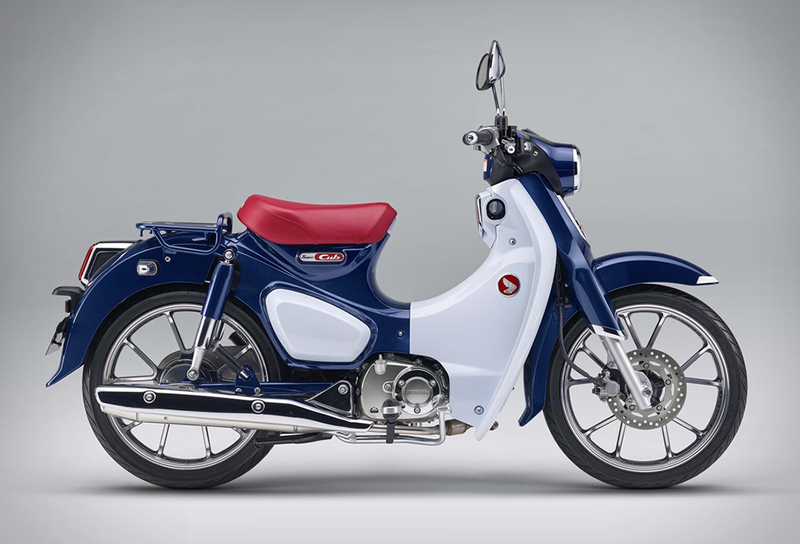 The unique vehicle is up for auction in New Hampshire at the end of June, you can learn more from RM Sotheby´s.